For fans of Pierce Brown and Firefly comes an epic sci-fi fantasy that Kiersten White, author of And I Darken, calls "dazzling - an adventure as sweeping in scope as the galaxies it spans!" Aly has risen above his war refugee origins to find fame as the dashing star of a DroneVision show. But when he's falsely accused of killing Rhee, he's forced to prove his innocence to save his reputation - and his life. 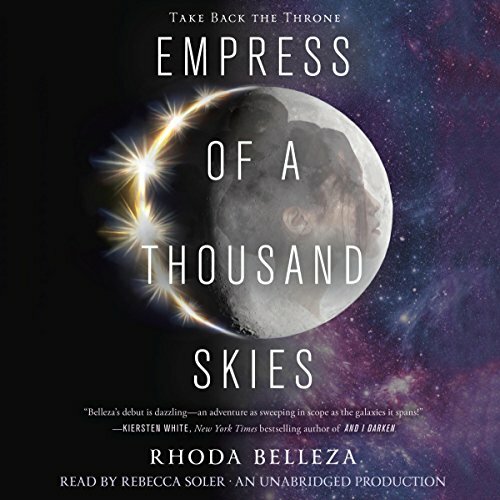 Rhoda Belleza crafts a powerful saga of vengeance, warfare, and the true meaning of legacy in this exhilarating debut, perfect for fans of Marissa Meyer's Lunar Chronicles and Jay Kristoff and Amie Kaufman's Illuminae Files.